Sit in a relaxed position with eyes closed and lips together. Start humming, loudly enough to be heard by others, and find a pitch for the humming that will create a vibration throughout the body. If it helps, you can visualize a hollow tube or an empty vessel, filled only with the vibrations of the humming. There is no special breathing, and you can alter the pitch or move your body smoothly and slowly as you feel it wants to move. The second stage is divided into two 7½ minutes sections. For the first half, move the hands, palms up, in an outward circular motion. Starting at the navel, both hands move forward and then divide, to make two large circles mirroring each other, left and right. The movement should be very slow - so slow that at times there will appear to be no movement at all. Feel that you are giving energy outwards to the universe. After 7½ minutes the music will change. Turn the hands palms down and start moving then very slowly in the opposite direction. Now the hands will come together towards the navel and from there divide outwards to the sides of the body. Feel that you are taking energy in. OSHO International Meditation Resort is a great holiday destination where visitors can have a direct personal experience of the Osho vision of a new way of living with more alterness, relaxation and fun. Located in Pune, India, the meditation resort attracts thousands of people from around the world every year. Courses and workshops ranging from creative arts and holistic health to personal transformation and therapy are offered, as well as a full daily schedule of meditations. Facilities include tennis courts, a gym, sauna, Jacuzzi, a large ‘nature-shaped’ swimming pool, classes in Zen archery, Tai Chi, Chi Kung, yoga and a multitude of bodywork sessions. The kitchen serves international government vegetarian meals, made with organically grown produce. The nightlife is alive with outdoor eating areas that fill with friends as well as music and dancing areas. In this essential meditation handbook for the twenty-first century, Osho turns the traditional notion of meditation practice on its head. Meditation: The First and Last Freedom shows that meditation is not a spiritual discipline separate from everyday life in the real world. in essence, it is simply the art of being aware of what is going on inside and around us. As we acquire the knack, meditation can be our companion wherever we are - at work, at play, at rest. Meditation: The First and Last Freedom contains practical, step-by-step guides to a wide variety of meditation techniques selected by and/or created by Osho, including the unique Osho Active Meditations, which deal with the special tensions of contemporary life. 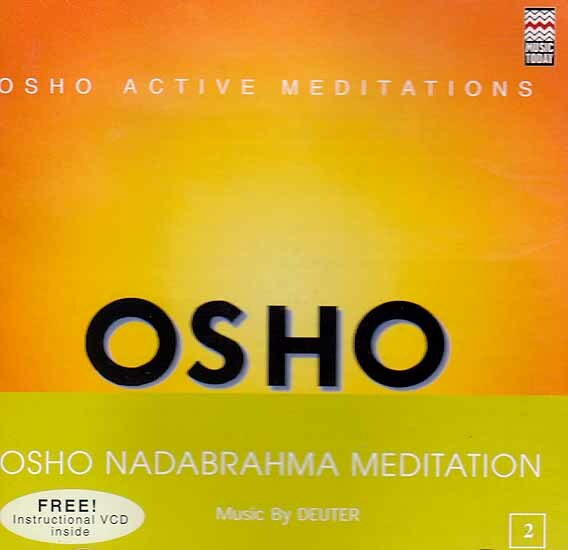 Recognizing that it’s almost impossible these days for most people to just stop and sit silently, these meditations - including the Osho Dynamic Meditation and Osho Kundalini Meditation - begin with one or more stages of vigorous physical activity. This brings our physical and mental energies to a peak, so that the following silence is easy - leaving us alert, refreshed and energized. Newly revised and resized into a handy portable format, Meditation: The Firs and Last Freedom is the perfect text to begin or continue exploring the joys of meditation.